I would be one of the first people to admit that I’m a little obsessed with planners. The thought of a new semester and a new year with so much to accomplish is exciting to me, but even for students not quite as excited for a new year as I am, a planner is a great way to tackle that new year’s resolution to be more organized or a tool to help accomplish another new year’s resolution. Being the planner nerd that I am, I placed my order for a planner back in November, but for the people who have yet to invest in a planner. I have compiled my list of best planners for 2015 ranging from fairly basic to very complicated. The Simplified Planner by Emily Ley is my 2015 planner pick, but there are planners available for all types of students. These planners are super simple and perfect for students who just need a place to jot down assignments and have relatively few appointments. The weekly view is perfect for seeing what’s going on and planning study sessions. A huge plus are the cute cover designs of all the planners and the small touches such as laminated dividers and quotes spread throughout. This is my former planner. It’s a weekly planner ideal for the student who has a little more than a few appointments or assignments a week. Plus, it’s super customizable for a unique look with a bunch of different layouts and cover designs to choose from. I used mine for a year and a half and it worked wonderfully for balancing class work, work and my extracurricular activities. I also really enjoyed having a weekly checklist and a daily check list. You can also add on various things such as more months, sticker sheets and planning sections. It also has different planner types to choose from such as for students or for wedding planning. The Erin Condren Life Planner is probably one of the most popular weekly planner options. Like the Plum Paper Planner, it has a variety of cover to choose from. However, the life planner only has one weekly layout to choose from which divides the day into morning, afternoon and evening. This planner is great for students who juggle multiple activities that take up sections of the day such as shifts at work or chunks of class time. These planners are also customizable with stickers, photos and other add-ons. 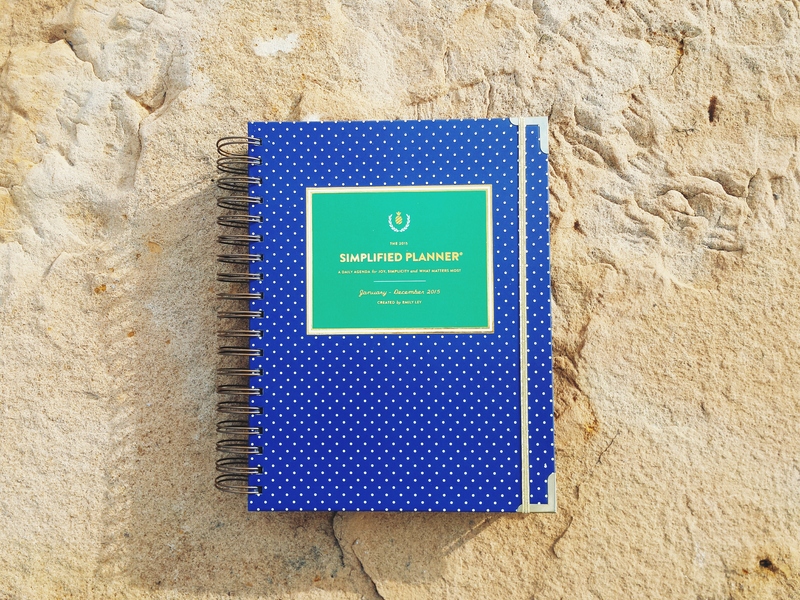 The Simplified Planner is the planner I chose for 2015. It is a daily planner that utilizes about half the page to give an hourly view and a section next to it for a to-do list. The Simplified Planner also has a small section for notes and a small section for what is on the menu for dinner. It’s perfect for me as someone who has a lot of commitments for my work, research and school work. It truly lives up to its name in that it is simple. While the Simplified Planner is sold out, the creator Emily Ley announced the production of an academic planner that will be available sometime in May. The Day Designer Planner is very similar to the Simplified Planner, but it contains a few more bells and whistles. It still includes an hourly view that actually has longer hours (5 a.m. to 9 p.m. versus 7 a.m. to 7 p.m.) and it has the to-do list in the column next to it. It has more sections for things such as a top-three checklist and a space to just download and jot notes. The Passion Planner is a product that was actually funded through a Kickstarter campaign. I found out about it through a friend who shares my love of planners, and you can download the entire PDF for free just by sharing the website through Facebook or Twitter. It is a weekly planner with sections for a personal versus work to-do list and a blank section for jotting notes or drawing something out. All of these planners have pros and cons, but I love all of them and if I had an infinite amount of money I’d buy all of them, but there is a planner for people in all areas of life with all sorts of schedules. Do you have any of these planners? Have you used any of them? Let me know what you think on Twitter or Instagram @linda_nguyennn.